An Asset Lifecycle Management Suite is a powerful and flexible solution for tracking and managing your infrastructure assets and inventory throughout their lifecycle. Fulcrum’s CATS provides a wide range of features, modules and functionality to meet many different asset management scenarios. At the same time, CATS is flexible and scalable to allow a wide range of implementation and integration options that will fit within almost any enterprise ecosystem. While CATS can function as a stand-along asset management system, some of the greatest value that it brings is the ability to integrate with any number of enterprise systems that could benefit from the data that CATS Mobility collects and stores. The CATS system is designed around field users collecting information about assets as they are physically encountered and acted upon. As such, CATS integration with existing systems provides accurate and up to date physical inventory status using the CATS interfaces services. External systems including financial, planning, ordering, purchasing, warehouse, spares management, etc. have specific sets of needs that we can tailor our interface records to meet. For example, there are several areas in the asset lifecycle that are considered financially triggering events, including initial PO receipt, installation and project go-live, repair and warranty execution, inter-business transfers, excess availability and re-use, retirement and disposition. A thorough analysis with each customer determines what is considered a financially triggering event based on their business needs and their ERP system’s needs. Once established those rules are applied to CATS data entry validation and Interface configurations. Configure CATS to include external systems business logic and validations rules at the point of data entry. Evaluate each transaction as it occurs to determine external system notification needs. Capture an event record of the transaction and any transient data needed for external systems for later processing. Schedule CATS integration services and configure the services to create interface files in required formats and delivery methods. Establish error handling and management methods. > Transfer integrations might exclude transactions for inventory that is inactive, at a repair location, in a disposed or retired status, non-trackable part type, in a pending status in external system, have not been assigned a financial asset id in external system, etc. > Transfer integrations might include transactions on inventory that is moving from one location to another, have a change of business unit or owner, have a change of asset label, serial number or part number, etc. > Transfer data entry validations might include preventing transfers to inactive locations, to unapproved projects, across business units, to invalid locations and business unit combinations, etc. > Transfer integration records may be “rolled up” to bypass consecutive intermediate transfer transactions to generate a single transaction showing movement from the external system assets current location to CATS current location, reducing external system processing time. CATS can communicate in a multitude of ways to meet a wide range of needs and requirements. Whether CATS is deployed as a Hosted or On-Premise installation. Needs for synchronous or asynchronous transmission. Batch, real-time or On-demand frequencies. Data exchange methods – HTTP or FTP/SFTP, Direct database access, JMS messaging, Web Services, etc. The answers to any of these considerations could affect the simplicity or complexity of the implementation of the integration. For those looking to deploy quickly, a file transfer methodology provides the most lightweight and simple integration option. CATS provides a number of options to provide data files that can be available for external systems. The following lists some options in increasing complexity. Data Forms that provide data lookups and can be used to manually export data into .csv file format. These forms are provided in the CATS Web UI and can be made available to different user groups through configuration. Query Builder results, which can be modified by users through the CATS Web UI. Query Builder results are in .csv file format, and are based upon accessing existing CATS database views. Query Builder results can be scheduled to be run and emailed to users at a desired frequency. Services can be configured that extract data into several types of file formats (.csv, .txt, .xml) and placed into a directory or JMS messaging queue accessible by users or external systems. Services can be scheduled to run on a desired frequency, and can also include additional validation and error handling options. Services can be configured to monitor directories and message queues for the existence of data files or messages in different file formats (.csv, .txt, .xml, .jms) that CATS can select and load into the CATS database. Error handling and validation options can be instituted. CATS REST API is available for external systems to post transactional data to the CATS system. One of the primary considerations when implementing the CATS application is how to populate the system with inventory and asset data. There are a various options available, depending upon the client’s needs and maturity level with asset management in general. This can range from performing an initial inventory in conjunction with the CATS system implementation, all the way to a comprehensive data conversion with one or more enterprise systems. An initial inventory may be an option for clients who are implementing an asset tracking or asset management system for the first time. In this scenario, there is often no legacy data for assets and inventory, or if data is available, it is highly suspect for data integrity. Either a client’s internal team or a contracted team would travel between locations where trackable equipment resides, and perform the initial identification of asset and non-serialized inventory into the CATS application. This option may present a higher cost either materially in contractor hours, or in changing focus of internal teams that are not typically tasked with this type of work. However, this option does present a time-boxed option for getting the asset and inventory data quickly into CATS. Another option for those clients with little to no, or suspect, legacy data is to perform the initial load of the asset and non-serialized inventory data into CATS in conjunction with performing the business processes that involve handling the trackable equipment. This is typically done by focusing on distribution centers first, where equipment moves through prior to being shipped to field locations, and at locations where excess equipment is consolidated from the field. This is often augmented with an Audit schedule of field locations, to allow for capture of those locations’ trackable equipment over a reasonable time period. Over time the CATS system is populated with data as the system is exercised. Initial costs should be lower than dedicating an inventory team to perform the initial identification, as described in the first option. However, this option isn’t time-boxed, so there may be more ambiguity as to when the majority of trackable equipment has been identified, and the ability to realize full benefits from the asset and inventory data may take longer to manifest. For a client that has legacy asset and inventory data available, and there is a level of confidence in that data, a data conversion plan is an attractive option. Within this approach, there are several different methods available to load the data into the CATS application. Options can include having users load Excel data files directly into CATS via web forms, setting up one time jobs within CATS that systematically ingest data, to implementing incremental loads of initial and delta data extracts through a dedicated interface. Costs associated with performing data conversions will range commensurately with the level of systematic process needed. High degrees of system based integration will cost more to setup and run than simple import processes used. However, a direct data conversion will preclude the need for hiring dedicated inventory teams and can provide a sooner benefit return of implementing CATS. Fulcrum’s implementation teams are well versed in the different options available to load the CATS system with asset and inventory data and work with our clients to identify the best options for them. Often this is a combination of different options available. As an example, a data conversion and then an audit of field level locations within an initial time frame to true up discrepancies that would inevitably occur with snapshot data. The goal of the Fulcrum implementation team is to get the CATS system providing benefits for the client, with the least amount of disruption to the user base, as soon as possible. CATS Mobility can help asset-intensive enterprises address the unique challenges in maintaining visibility, insight, and control of their mission critical assets. These assets are typically distributed across geographies, and often located in remote areas. The people who service and operate those assets are often distributed, mobile, and work every possible environment across the back office, warehouse, and field. You can integrate CATS Mobility to any OSS, BSS, or ERP System, providing a critical IoT gateway to the expensive systems you already invested in. This highly configurable mobile solution works on any major scanner or smartphone scanning platform, so people can bring their own device, or use one given to them by a company. Most solutions are supplier centric, in that one size fits all, unless there is an expensive change request. The fulcrum solution is customer centric, and can be easily adapted to how you work, where you work. CATS has over 50 mobility routine templates that can be used 'as is' or easily configured and customized for specific job functions and roles. We can also create customized routines from scratch that can turn your device into a powerful, intelligent, and flexible field tool that supports your unique business and process workflows. CATS has an intuitive template which can e used to easily create new custom routines - and any of the new routines can collect required (and optional) data based on the user's role, their job function, and permissions. There are four ways to capture data with CATS Mobility computing. Users can type in the input, perform a search, scan an item, or select from a pre-defined list. There are additional controls available with the tap of a button - such as accessing profiles, routines, inventory, validation files and more. And enterprise grade security keeps your data locked down from end-to-end. This includes secure log-on, user limited permissions, and encrypted password protection. You can connect in real-time through a secure transport layer behind your own firewall. We also know you wont always be connected, so we give you the option of working online or offline. For offline users, we collect the information in batch files and upload the information when you connect next. Find out how you can use CATS Mobility solutions to get visibility, gain insight, and take control of your assets from end-to-end. To effectively track assets for Telecom, you need to have a great team, a great solution, a mobile app for front end scanning, and an integrated reconciliation engine keeping real-time data perfectly accurate from end-to-end. Fulcrum Technologies' great team, solution, mobile app, and reconciliation engine can be found in Telco warehouses, back offices, and field locations in North America and internationally. Here you can see Fulcrum CATS Asset Lifecycle Management (ALM) in action in the warehouse of one of the world's top carriers. They are using CATS mobility to get visibility, insight, and control of their critical network assets as they flow through their supply chain. Warehouse workers from one of the world's biggest telecoms use their mobile device as a field decision support tool, intelligently locating spares for efficient inventory management. 5G wireless networks are going to usher in a new age of higher data rates, Industry 4.0, IoT devices, and driverless cars. To support the millions of devices invading our lives we must first take all of our supporting infrastructure to the next level. This transformation will have a significant impact on Communication Service Provider (CSP) assets and infrastructure, and those companies who have a solid Asset Lifecycle Management (ALM) practice in place will have the most cost efficient roll-out. The fact is, equipment and other assets move around a lot during their lifecycle – whether it is due to regular maintenance, the upheaval of merger/acquisition activity, or the ‘technology cascade’ that occurs when new equipment is deployed and old equipment is reassigned to new locations or retired. The asset information collected and managed by an ALM system can dramatically transform the effectiveness of your organization. Armed with real-time asset information, your teams in Accounting and Finance, Operation and Engineering, Planning/Supply Chain, and IT can work more accurately and efficiently. Gain full visibility of your hardware landscape - what you have, where it is, and how it can be used. Then you can determine when to purchase, sell, redeploy, repair, or recycle your 5G (or other) assets. The MDSI and Fulcrum Technologies partnership provides tailored technology solutions for telecom, cable, and data center infrastructure environments – focused on reducing costs, centralizing visibility, and optimizing value at every stage of the asset lifecycle. The time to prepare is now. Hear overviews and strategies from experts who have implemented best practice solutions for some of the largest carriers in the world, helping to manage literally billions of dollars of Network Assets and CPE Equipment. Brent Bauer, a frequent speaker on Asset Lifecycle Management (ALM), will be speaking at the ISE Expo in Orlando, Florida, on September 12th, at the Orange County Convention Center. He will be presenting "Asset Lifecycle & Supply Chain Best Practices in Telecom, Data Centers, and NFV/SDN Environments." Are you an information and communications technology (ICT) network professional looking to stay current with the latest network technologies and infrastructure solutions in a rapidly changing industry? Mark your calendar for ISE EXPO 2017, September 12-14 at the Orange County Convention Center, Orlando, Florida. You can read the full article here: http://www.isemag.com/2017/03/xos-supply-chain-journey/ or visit the digital edition here: http://digital.isemag.com/#&pageSet=0&contentItem=0. “A ‘ghost asset’ is a component that is lost, stolen, or unusable… but is still listed as active in the fixed asset database. You want to maximize spares and avoid paying taxes on ghost assets you don’t possess, so the vanquishing of ‘ghosts’ is critical for your CAPEX optimization. In the movie Ghostbusters, they vanquished the ghosts through the use of multi-pronged triangulation. That same approach can be done for finding ghost assets, where you hunt them with multiple different solutions. The most common and pervasive is the use of mobile solutions to scan valuable physical assets, inventory, and infrastructure throughout their lifecycle. On top of that, you can hunt them with OSS, BSS, and ERP systems, as well as e-polling technology. When you have refreshed all connected system databases, you can then audit and reconcile the main asset database of record using CATS from Fulcrum Technologies. This will accurately update asset status for any assets that have vanished and do not appear in the audits. The reconciliation process can even match lost to found items - like if someone along the supply chain changed the label or if an asset comes back from repair with a different label. In that case, it wouldn’t necessarily be a ghost asset, as CATS would discern the match. The best practice for keeping ghosts at bay? Scanning with the CATS mobile solution at every possible transaction point; receiving, warehousing, transfer, placed into service, sent to repair, and decommissioning / retirement / disposal. Then, reconciling the data in CATS to ensure the accuracy of every connected system, as well as the asset database of record. If you want to call the (asset) Ghostbusters, just email info@Fulcrum.net. The First Person to Ever Paraglide Off of Mount Rainier? Fulcrum’s Own Cory Stevens. In 1992, Cory Stevens trudged up to the top of Mount Rainier, bringing with him the heavy load of a Paraglider. At 14,410 feet, they hit the top of the iconic mountain, the highest mountain of the Cascade Range of the Pacific Northwest. He set up his glider in the snowy environment, got situated on the edge, and pushed off… making history in the process as the first person to ever paraglide off of Rainier. Known as the “Terminator” in flying circles, Cory’s fearless flights transcended many of the world’s scenic peaks, cliffs, mountain tops, and even volcanos for over 25 years. He has flown in Italy, Switzerland, Alaska, Mexico, and everywhere in-between. He recalls one stormy day where the strong, and constantly changing winds kept the entire set of paragliders huddled in safety up on the top of Tiger Mountain in Washington. Eventually, a lone paraglider took off in the stormy conditions, and as everyone watched, managed to navigate just through the erratic gusts. This eventually satisfied the fearful group, and 1 by 1 they began to follow suit. This lone flier who led the way was Fulcrum CEO Brent Bauer, who, like Cory, has been known to launch into adventures with a calculated expert ease. The two of them together bring a great deal of pragmatic confidence to Fulcrum, which has helped navigate over 40 Asset Lifecycle Management installations at Communication Service Providers in the USA and internationally. Similar to flying, they find the best route to accomplish what they need to do, regardless of whether or not it’s the traditional way of getting things done. The conditions and environment for every enterprise can be unpredictable and difficult. The key is navigating the chaos to find solutions that both optimize and empower. To do so takes the strength and leadership that www.Fulcrum.net brings every single day. Eliminate the purchase of duplicate equipment. Reduce the inventory level of spare equipment. Assure that invoiced equipment has really been received and it matches the Purchase Order. Follow equipment through the return & repair process. Deter theft and fraud with increased audit trail accountability. Achieve property tax and reporting compliance. Vastly improve accuracy of ERP, OSS & BSS systems. Reduce repair and replacement expense through warranty tracking at part and asset level. Improve the efficiency of data center technicians by helping them find spares quickly and giving visibility into network information. To get the benefits of Asset Lifecycle Management in your enterprise, company, or organization, visit www.Fulcrum.Net today. Every data center strives to optimize their CAPEX and OPEX to stay competitive and be successful in the long run. To do so requires a disciplined approach to infrastructure management. Data center infrastructure management (DCIM) lets you use best practices from Asset Lifecycle Management (ALM) to track and manage your data center assets, giving you an accurate, real-time view of your asset’s “useful life” using data for financial data management, analysis, dashboards, and reporting. Fulcrum's CATS software provides powerful, flexible, intelligent mobile scanning solutions to support DCIM. In addition, the data collected and reconciled by CATS lets you see what assets you have, when they were installed, the depreciation schedule, and what current book value is. Having this snapshot enables financial data management and analysis of every physical asset in your data center. In short, CATS is the link between physical assets and financial systems, providing asset data and financial analysis throughout the entire lifecycle to reduce CAPEX. Track hardware or software assets: In addition to tracking any hardware asset, CATS lets you track software licenses, redeploy software, manage the term - and even get notifications when terms are about to expire. Customer and/or project focus: CATS gives you the option to track equipment by customer, project, or both. Track it down to the blade position: CATS allows you to track assets down to the rack and blade/spot location. Identify idle equipment: CATS can identify idle equipment, allowing for it to be redeployed where you need it. End-of-life and maintenance management: CATS lets you track equipment end-of-life and maintenance contract expiration, which includes getting proactive alerts when it is time to act. Track rack space reservations: CATS allows you to keep track of rack space reservations per customer opportunity, with the option to automatically set an expiration after some period of time. Track equipment power and heat requirements: CATS allows you to track equipment power and heat requirements, and can provide warnings when installations are about to exceed rack power capacity or cooling capacity for the aisle or room. Track passive infrastructure: CATS allows you to track passive infrastructure like battery banks, diesel generators and cooling systems. Track any and all relevant asset data: CATS allows you to integrate sensor data to report on actual power utilization, temperature, battery capacity, generator fuel levels and run hours. Get data center visualization: CATS lets you provide visualization of data center and rack-level equipment, allowing for visual searches and drill downs to all asset details. Integrate RFID sensors: CATS gives you the ability to integrate RFID sensors to simplify data collection. RFID for rack verification and recording of equipment leaving and/or entering a room can play a big part in ensuring data accuracy for data center assets. Use a powerful mobile front end: CATS lets you use a best-in-class mobile front end to allow easy recording of installation activity. For over 18 years, Fulcrum has been the leader for Asset Lifecycle Management (ALM), integrating tightly with all major back-end ERP systems such as Oracle and SAP. CATS provides Data Center admins with a holistic view of a data center’s performance so that equipment, energy and floor space are used as efficiently as possible, while collecting data across a variety of mobile platforms, including iOS and Android. The CATS ALM solution includes software, services, labels, and mobile hardware to make sure your solution is seamlessly integrated from end to end. If you would like to implement DCIM at your data centers, please email INFO@FULCRUM.NET today. When choosing a mobile solution front end to track and manage your critical assets, infrastructure, and equipment, you need to consider a few “must-have” features. First, you should have a mobility solution that can be configured to let any worker in any environment scan 1D, 2D, or Micro PDF barcodes. You also want that mobile software to work on any major scanner or smartphone scanning platform, so you have flexibility, choices, and known interfaces. Whether your people are in the field, the warehouse, or back office, they will need a reliable, consistent method of capturing ALL transactional data to feed your fixed asset database. From an ergonomic perspective, you want that worker to perform asset scans with the least amount of attempts required, capturing asset data as it flows organically throughout its lifecycle. And every role throughout the supply chain workflow is unique, with a unique set of needed functionality. Because of this, you want a solution that has multiple-step processes which can be configured for different types of users. When tracking assets to the tops of snowy mountains and into rattlesnake infested cell sites in the desert, we have learned a valuable lesson; you also never know when you’re going to be connected, so your solution needs to work perfectly online, and can perfectly collect data in a ‘batch mode’ when offline. Lastly, in this era where intellectual property as a competitive advantage in the enterprise, having enterprise-grade security from end-to-end for your mobile solution is invaluable. This level of security ensures your collected proprietary data remains uncompromised. It requires having a secure log-on, user limited permissions, and encrypted password protection. It should also allow you to connect in real-time and through a secure transport layer behind your own firewall. These are all best practices that we’ve implemented in major Communication Service Providers in North America and abroad. If you want to talk with one of our consultants on how to perfect your enterprise mobile scanning, email INFO@Fulcrum.net. We would love to help. From the very first day barcodes were introduced, conspiracy theorists have publically worried about a future where every individual is marked with a barcode which is encoded with identifying data, bank account numbers, sensitive records, or any other valuable piece of information. Many of them have also theorized that the barcode creators went so far as to embed “666” into the barcode structure – a theory that has been repeatedly and thoroughly debunked. The concept of barcoding humans – considered a workplace’s most valuable asset – certainly makes a very interesting science fiction story, but the reality of that scenario is that it wouldn’t be an optimal way to ‘mark’ a human. For starters, barcoded data is very static, so anything you encode originally will be what is encoded forever. You couldn’t account for new medical situations, life changes, or ID updates with a static barcode tattooed to your wrist. In theory, you could use a 2D barcode to provide access to a specific URL where content would be kept up-to-date. 2D barcodes also have an ‘error correction’ ability which means tarnished barcode tattoos could potentially still be read. A more likely scenario would be to install a microscopic GPS or RFID transmitter underneath a human’s skin, done in a way that is discreet and non intrusive with regular motion. This would allow the chips to send the human’s current data to receivers who can use it to access records, accounts, updates and more. Regardless of what type of asset you have - human or fixed - Fulcrum Technologies can give you visibility, insight, and control over it through every possible lifecycle stage. We've done it around the world with millions of assets - saving our customers millions of dollars. Wise Supply Chain, Warehouse, and Logistics Managers can learn from other people's mistakes when it comes to warehouse and inventory management. There have been millions of minor inventory problems, and numerous major catastrophes as well. Some of the disasters were so enormous that it led to the formation of inventory management as an independent area of study in many management colleges keeping in mind the various supply chain organizations operating globally. It also gave rise to the Six Sigma practices being a dominant force of normalization for inventory and supply chains. Roger Smith the CEO of GM planned to deploy 14,000 new robots in GM plants by 1990 to increase the efficiency in plants. But the move backfired when robots worth billions of dollars failed to work and led to decrease in efficiency and lowered productivity. The entire project was later largely scrapped and Smith fired, as GM’s costs rose and market share shrunk. It is said that at that time GM could have bought both Toyota and Nissan with the money it spent on failed robots. Adidas decided to upgrade its warehouse to modern warehouse management system but reminded rigid on using its own Stratus computer instead of vendor’s Unix-based System, asking them to port the system to their computers. The move failed and Adidas was unable to process and ship orders leading to major market share losses that persisted for a long while. It was the beginning of online retailing business and Toys R Us, advertised heavily for its online division promising to make Christmas deliveries for any orders placed online by Dec. 10. Perhaps it underestimated the power of internet as tens of thousands of orders were placed and despite the inventory being mostly in place, the company simply cannot pick, pack and ship the orders fast enough. It led to the famous “We’re sorry “ emails being sent by the company to its customers two days before the Christmas leaving the customers irked and forever tarnishing the reputation of brand proving a wakeup call to the rest of the industry. 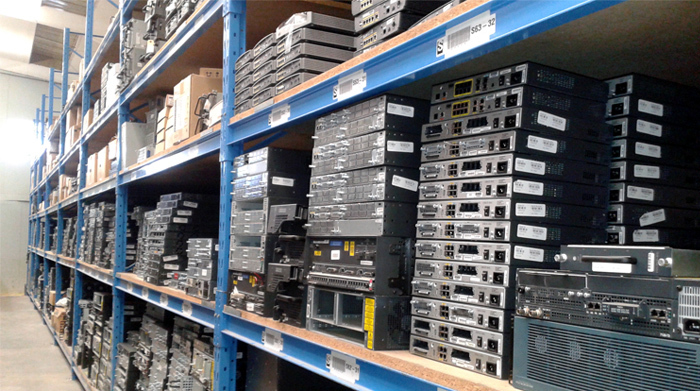 This example is the perfect example of the excessive inventory affects as Cisco in May 2001, reported $2.2 billion worth inventory extra which it was unable to sell as Cisco was slow to see the slowing demand and ended up with way more routers, switches and other gear than it needed. So you used Fulcrum Technologies mobile scanning solutions to amass a huge amount of data about your physical inventory, assets, and critical infrastructure in the field. Then what do you do with that data? The first step in making the data transform into actionable data is through reconciling that data to create an accurate, real-time fixed asset accounting database. Traditional ledgers are often years out of date with various capitalization limits and accounting approaches. The best practice is to correct these deficiencies and create asset records that can be easily maintained and audited in the short, medium, and long-term future. An in depth review of the accounting records will often present the structure, paradigm, and path that needs to be followed. The assets attributes like age, type and available detail will populate the field data requirements and show how you should conduct the reconciliation. Automated processes can connect your field data with your “books”. In many cases, the reconciliation can be completed with this single step, but often it’s more complex. If necessary, you can physically match material assets between the two data sets that were not connected electronically so that any material discrepancies can be resolved. This central reconciliation should also take (and verify) inputs from any connected system, whether it is OSS, BSS, ERP, or Legacy, so it has another perspective into the data. Then the new asset database of record can push out the best possible data to those same connected systems, so you can maintain accurate records at every location. This process makes every single aspect of your asset records better at ever possible reference point, improving company wide CAPEX, OPEX, and business efficiencies. Barcodes would be absolutely worthless without the technology and devices to read them. Barcode scanners have to have the ability to read the black-and-white zebra lines on products instantly and feed that information to a computer or checkout terminal, which can process and identify them immediately using a defined product database. 1. Scanning head shines LED or laser light onto barcode. 2. Light reflects back off barcode into a light-detecting electronic component called a photoelectric cell. White areas of the barcode reflect the most light, while black areas reflect the least. 3. As the scanner moves past the barcode, the cell generates a pattern of on-off pulses that correspond to the black and white stripes. So for the code shown here ("black black black white black white black black"), the cell would be "off off off on off on off off." 4. An electronic circuit attached to the scanner converts these on-off pulses into binary digits (zeroes and ones). 5. The binary digits are sent to a computer attached to the scanner, which detects the code as “11101011”. In reality, scanners don't detect zeroes and ones and produce binary numbers as their output: they detect sequences of black and white stripes, as we've shown here, but convert them directly into decimal numbers, giving a decimal number as their output. This is a high-level strategy presentation and discussion on best practices for using mobile phones to automate any asset and infrastructure supply chain using Asset Lifecycle Management technology, as proven by numerous Telecom and Communication Service Provider companies. Hear best practices for efficient ways for CSPs to get Asset Visibility, Insight, and Control of all their assets, and use ALM to purify and enhance data coming from OSS, BSS, and ERP systems. For registration and more details, please visit their site HERE. Oracle Enterprise Resource Planning (ERP) Cloud and Oracle Enterprise Performance Management (EPM) Cloud offer accounting, financial planning and analysis (FP&A), revenue recognition, risk management, governance, compliance, procurement, project planning, tax reporting, the financial close, and much more. ERP software is the backbone of many organizations. Oracle's modern, connected back-office applications deliver the functionality, analytics, security, mobile capabilities, and social collaboration tools you need to run your business. When combined with Fulcrum CATS Asset Lifecycle Management (ALM), the overall solution gives any enterprise perfect visibility, insight, and control of their asset universe. While CATS can function as a stand-along asset management system, some of the greatest value that it brings is the ability to integrate with those Oracle systems that can benefit from the data that CATS Mobility collects and stores. The CATS system is designed around field users collecting information about assets as they are physically encountered and acted upon. As such, CATS integration with existing systems provides accurate and up to date physical inventory status using the CATS interfaces services. Oracle’s financial, planning, ordering, purchasing, warehouse, spares management, etc. have specific sets of needs that we can tailor our interface records to meet. 1. Configure CATS to include Oracle systems business logic and validations rules at the point of data entry. 2. Evaluate each transaction as it occurs to determine Oracle system notification needs. 3. Capture an event record of the transaction and any transient data needed for Oracle systems for later processing. 5. Schedule CATS integration services and configure the services to create interface files in required formats and delivery methods. 6. Establish error handling and management methods. Fulcrum’s implementation teams have a wide array of previous CATS integrations to draw on and reference providing support and guidance for our clients when determining business requirements for each integration. > Transfer integrations might exclude transactions for inventory that is inactive, at a repair location, in a disposed or retired status, “non-trackable” part type, in a pending status in external system, have not been assigned a financial asset id in external system, etc. > Transfer integration records may be “rolled up” to bypass consecutive intermediate transfer transactions to generate a single transaction showing movement from the Oracle system assets current location to CATS current location, reducing external system processing time. 1. Whether CATS is deployed as a Hosted or On-Premise installation. 2. Needs for synchronous or asynchronous transmission. 3. Batch, real-time or On-demand frequencies. 4. Data exchange methods – HTTP or FTP/SFTP, Direct database access, JMS messaging, Web Services, etc. 1. Data Forms that provide data lookups and can be used to manually export data into .csv file format. These forms are provided in the CATS Web UI and can be made available to different user groups through configuration. 2. Query Builder results, which can be modified by users through the CATS Web UI. Query Builder results are in .csv file format, and are based upon accessing existing CATS database views. Query Builder results can be scheduled to be run and emailed to users at a desired frequency. 3. Services can be configured that extract data into several types of file formats (.csv, .txt, .xml) and placed into a directory or JMS messaging queue accessible by users or external systems. 4. Services can be scheduled to run on a desired frequency, and can also include additional validation and error handling options. 5. Services can be configured to monitor directories and message queues for the existence of data files or messages in different file formats (.csv, .txt, .xml, .jms) that CATS can select and load into the CATS database. Error handling and validation options can be instituted. 6. CATS REST API is available for external systems to post transactional data to the CATS system. 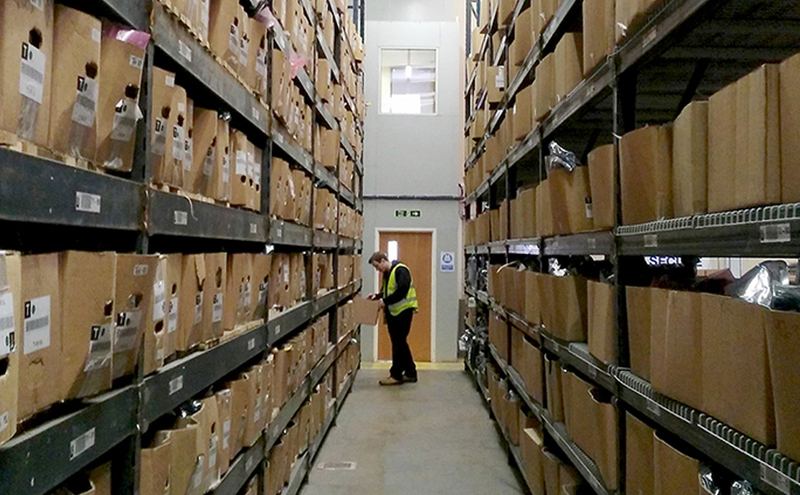 An initial inventory may be an option for Oracle shops which are implementing an asset tracking or asset management system for the first time. In this scenario, there is often no legacy data for assets and inventory, or if data is available, it is highly suspect for data integrity. Either a client’s internal team or a contracted team would travel between locations where trackable equipment resides, and perform the initial identification of asset and non-serialized inventory into the CATS application. This option may present a higher cost either materially in contractor hours, or in changing focus of internal teams that are not typically tasked with this type of work. However, this option does present a time-boxed option for getting the asset and inventory data quickly into CATS. Fulcrum’s implementation teams are well versed in the different options available to load the CATS system with asset and inventory data and work with our Oracle enterprise clients to identify the best options for them. Often this is a combination of different options available. As an example, a data conversion and then an audit of field level locations within an initial time frame to true up discrepancies that would inevitably occur with snapshot data. The goal of the Fulcrum implementation team is to get the CATS system providing benefits for the client, with the least amount of disruption to the user base, as soon as possible. Enable your team to lead digital transformation of their core business processes and asset lifecycle management with the powerful combination of Fulcrum and Oracle.